Someday All The Adults Will Die: Punk Graphics 1971-1984, curated by Johan Kugelberg and Jon Savage, provides a comprehensive overview of punk graphic design, highlighting imagery before, during and after the punk years, drawing upon previously unseen public and private archives and collections. 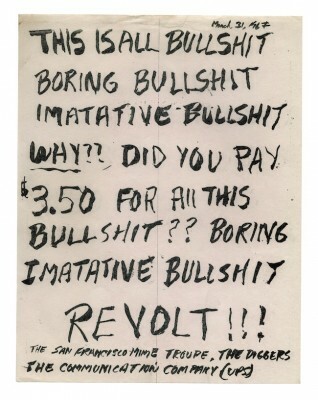 Punk and post-punk graphic design is illuminated by examples of homemade cassettes, fanzines, posters, handbills, records and clothing. Highlights include original artworks by Gee Vaucher, Jamie Reid, Gary Panter, John Holmstrom and Penny Rimbaud alongside numerous anonymous artists. The exhibition coincides with the publication of Punk: An Aesthetic by Johan Kugelberg and Jon Savage, published by Rizzoli.